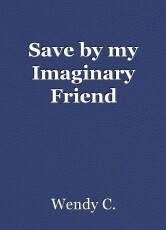 Save by my Imaginary Friend: Chapter 11, book by Wendy C.
Emily and her friends trying to stay on Kevin's good side. “I do not believe that the girls are dead. I think they are still alive,” Cassie told Kyle. “Where are they then?” Kyle asks. “I do not know. I think Kevin is getting smarter and being more careful,” Cassie says. Jordan came walking in Lisa’s house. “Is Emily’s parents coming?” Kyle asks Jordan. “No, I told them it would not be safe and I also told them I do not believe Emily and her friends are dead,” Jordan answers. “Cassie believes the girls are alive too. How are we going to find the girls? Cassie does not know where they at,” Kyle asks Jordan. “Kyle, we have to think like Kevin than we will find the girls,” Jordan says. Shawn, Jason, and David came to Lisa’s house. “Does Casey have any ideas where Kevin might be?” Jordan asks Jason. “Yes, Casey mentions that one of Kevin personalities Hedwig says that Kevin’s mother has a cabin,” Jason answers. “Does Casey know where the cabin is?” Kyle asks. “No, she does not but I am looking into that,” Jason answers. “I am going to go to Kevin’s old school to see if I can get some information about Kevin,” David says. “Are we going to put Emily and her friends' pictures on the news?” Lisa asks. “No, we are not because Kevin believes he trick us. What we need to do make Kevin believe that we believe the girls are dead. We going to tell the reporters that Emily and her friends are dead so the reporters can announce their death on the news. We do not want Kevin to know we are looking for him,” Jordan answers. Kyle’s father Tom Baldwin call him. “Kyle, I heard about Emily and her friends and I am coming over,” Tom says. Tom came inside Lisa’s house. “Kyle, I know a man who is good at tracking people and his name is Ryan Greys. Ryan has helped the police find many missing people and he found them alive most the time. Emily was worry because Kate would not stop crying. “Kate, you need to stop crying because Dennis has a violent temper,” Emily said. “I cannot I am scared,” Kate cry. “We are all scare but Emily is right Kate crying is only going to cause problems. We have to be smart and not make this guy mad at us. We go to stay on his good side. I am sure Jordan Collier and the other will rescue us soon,” Candy said. “Ok, I will try to calm down but where is Kevin?” Kate asks Emily. “Kevin’ other personalities Dennis is probably taking over him,” Emily told Kate. Kevin came in dressing like a woman. “Hello, girls, my name is Patricia. Are you girls hungry?” Patricia asks. “Yes, we are,” Emily answers for her friends. “I will go make some spaghetti for you girls but you two girls have to behave because Dennis says if you misbehave he will give you to the beast,” Patricia told Candy and Kate. “We will behave, Miss Patricia,” Candy and Kate both answers. Patricia took the girls to the kitchen to eat their dinner. “Dennis told me that you angry with him for making you miss your birthday party so I make a cake for you make it up to you,” Patricia told Kate. “Thank you, Miss Patricia,” Kate says. Patricia got them a TV to watch. They watch Star Wars movies. The girls still have their books so they read them to take their mind off of things. When Candy and Kate were asleep Emily try to get a hold of Cassie telepathically. Emily finally fell asleep. “Emily it is me, Cassie. We have been so worried about you girls. Do not worry Emily help is on the way,” Cassie says. Cassie disappears. Emily was happy that they were going to be rescued soon. “Who were you talking to Emily?” Kevin asks. “No one I was just thinking,” Emily answers. “Emily give me your neckless,” Kevin ordered. Emily gives Kevin her neckless without argument. “We are leaving tomorrow to find a different place to live. I am afraid to have to leave this neckless behind. I will buy you another neckless. I am afraid this neckless might have a tracking device in it,” Kevin told Emily. Emily telepathically told Cassie that Kevin was taken them somewhere else and Cassie got the message.